It’s March 1st and we’ve officially survived the month of February. Now we’re taking on March. This time of year can be very boring for a whitetail hunter. Cabin fever can be a deer hunter’s worst enemy if they haven’t started shed hunting or found some off season management projects to keep themselves occupied until turkey season. One of these management projects that we are currently doing here at The Proving Grounds is frost seeding clover. 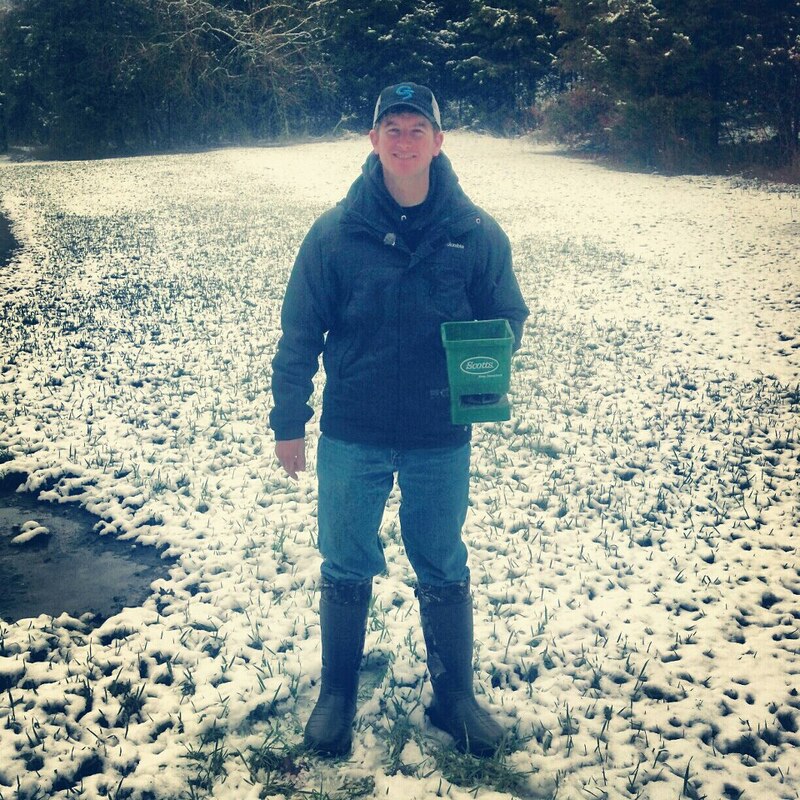 We’ve posted a few pictures of the team frost seeding on our Facebook and Twitter pages. After posting, we’ve had some questions about what frost seeding is. When frost seeding clover we plant at 10 lbs/acre. Frost seeding is the technique of broadcasting a small hard seed onto the ground and using the natural act of frosting or the freezing and thawing of the ground to help pull the seed into the soil. This technique is usually practiced from mid-February to the beginning of March. This allows seeds, like clover, or other small hard seeds to lie in the soil until adequate warmth and moisture are available to germinate. This technique does not work well with large soft seeds like corn or soybeans because they can soak in moisture before it is warm enough to germinate and this causes them to rot and not grow, which can be costly. When we’re frost seeding clover we tend to plant more seed per acre than we typically would in a fall or spring planting. Generally we plant 5 lbs/acre for a new stand of clover. When we’re frost seeding we will double that and plant 10lbs/acre. We do this because the seed may lie on the ground for weeks before germinating with the possibility of things like birds carrying some off or heavy rain washing seed away, so we want to have plenty of seed left for growing. Clover along with Eagle Seed beans allows us to provide deer forage 12 months a year! The additional seed cost is well worth it in the time savings for not having to employ more sophisticated equipment. A broadcast seeder is quick and inexpensive, making it a tool that everyone can use. We are planting clover here at The Proving Grounds to help carry that void of growth in early spring. You’ve probably heard Grant talk about soybeans and how they provide forage eleven months out of the year. 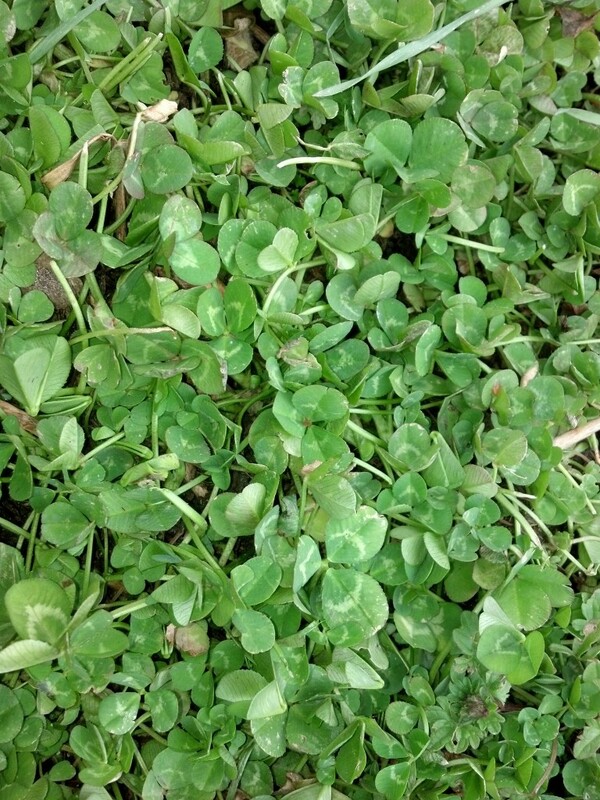 Clover can be that forage for the twelfth month. By providing enough clover along with Eagle Seed beans you can provide deer forage twelve months out of the year! You can catch more information about frost seeding on the upcoming episode of GrowingDeer.tv (GDTV 171)! As we head into March I hope you all can get out and cure your cabin fever with various management projects, combine it with a little shed hunting or maybe do a little scouting for turkeys!